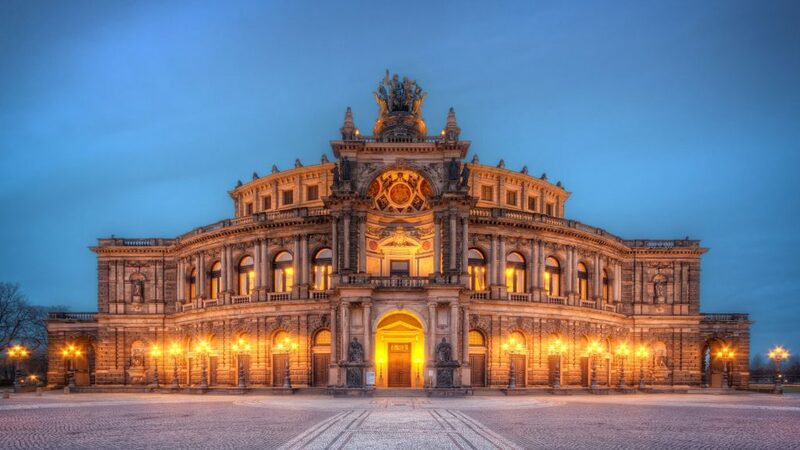 The Semperoper is probably the most famous opera house in Germany. 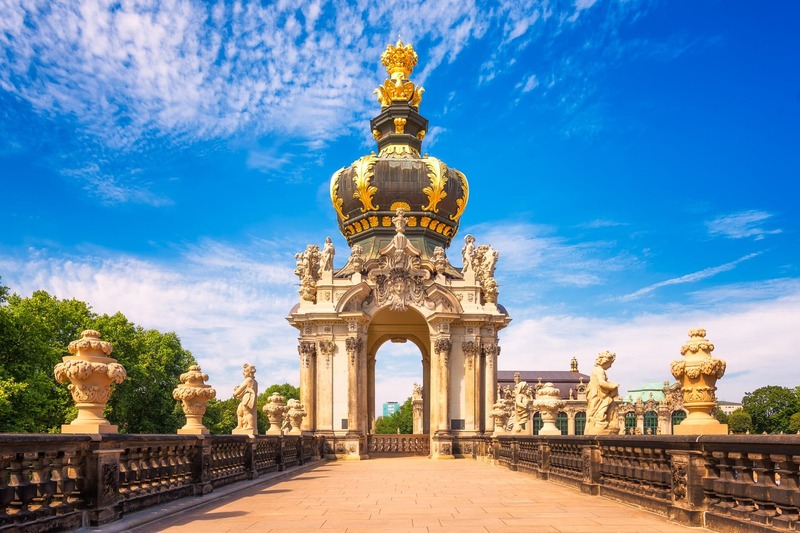 The reason however, is quite different as one might expect: The Radeberger Group – Germany’s largest brewery group – uses the Opera House for many years in the background of the advertisements for the Radeberger beer. Even if I try to resist any advertising as much as possible, I must admit that it immediately came to my mind as I stood there. 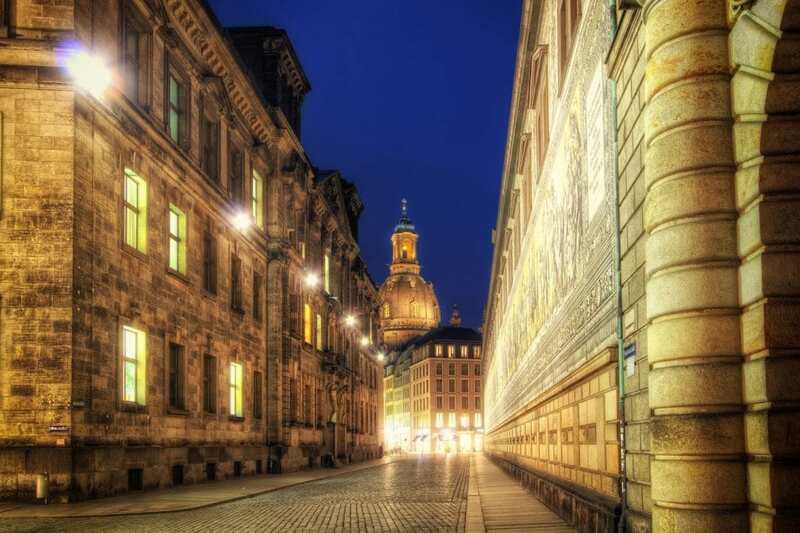 It’s an incredible feeling to see the Dresden Frauenkirche virtually glowing at night. The church that for such long time served as a reminder on the destruction of Dresden in the Second World War. The Frauenkirche was completely destroyed and the dark stones that you see in the wall were taken from its ruins. After the Frauenkirche was totally destroyed in the Second World War, the GDR regime decided to keep the ruins as a memorial. 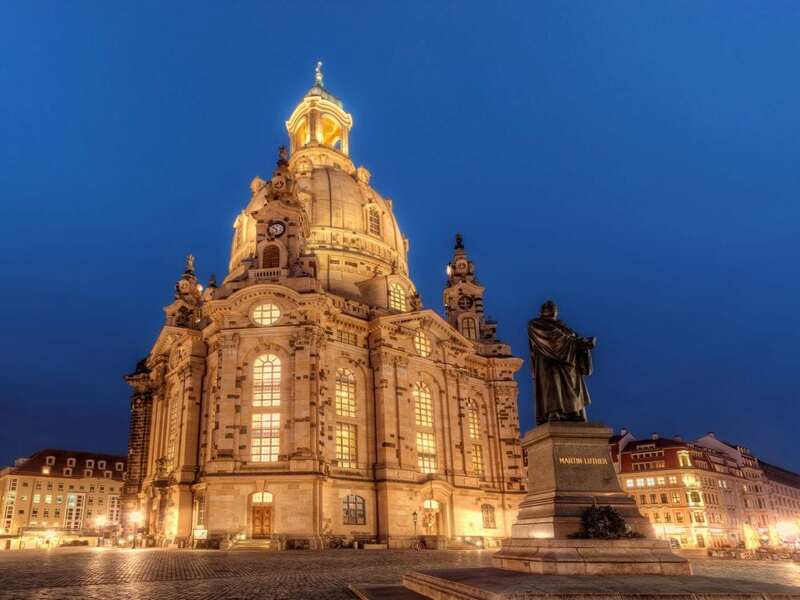 Finally, in 1994 Dresden begun to rebuild the church for more than 10 years. The interior of the Dresden Frauenkirche is very different from what I know of other churches. Much lighter, very friendly and kept in pastel colors. 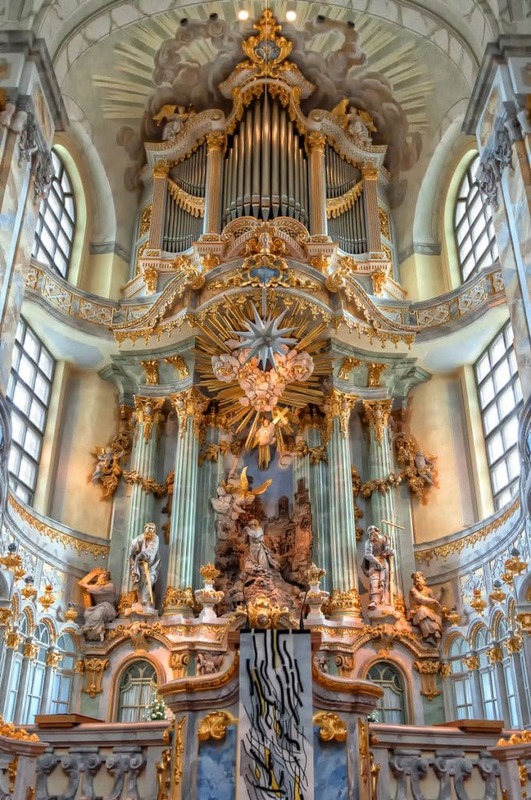 That results in a great contrast of the colors to the golden altarpiece and organ.